Captain Boola’s Reel Tite Fishing Guide Service specializes in fishing charters in the bays, bayous, and marshes of Venice, Louisiana. On a normal fishing trip we leave the dock at safe light traveling the delta where you see plenty of wildlife and wetlands on the way to the fishing hole. Venice, LA is a place like no other! 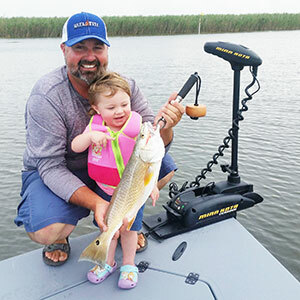 We catch Redfish year-round, and are second to none with respect to our fishing action… including Redfish, Speckled Trout, Flounder, and more! Currently, our limits are 5 Redfish (16″-27″) & 25 Trout (12″ and up) per angler. Whether you just want to catch and release or just want to fill the cooler, we will do our very best to accommodate you. Once you are satisfied with your day of fishing we will then head back to the marina where Venice Marina offers fish cleaning, vacuum sealing and shipping for your catch. I personally guarantee you will have a great time! We will fish out of a new MAJEK 25+ Xtreme bay boat, powered by a 300 four stroke Yamaha. The versatility of the Majek Xtreme is one of its most unique characteristics. It’s perfect for fishing and skiing in fresh water lakes but it’s also great for running in shallower salt water bays. It is equipped with a 112 MinnKota iPilot trolling motor so we can quietly approach schools of Redfish. Lowerance GPS; Dual 8′ blade Powerpole hydraulic anchors make this boat perfect for the fishing here in Venice. * Venice Marina offers fish cleaning, vacuum sealing, and shipping. 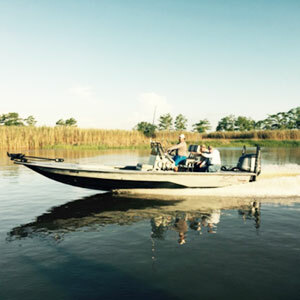 A valid Louisiana fishing license (non-residents need a ***Charter Passenger License (3 day) fishing license) that you may obtain online before your trip at http://www.wlf.louisiana.gov/licenses/fishing. An authorization number for immediate use will be provided and licenses can also be printed out. If you have your own rod and reel you are welcome to bring it along. 50% Reservation Deposit Required: The balance is due prior to departure by check or cash (credit cards are not accepted for balance due). I will hold your reserved date(s) for one week to allow your deposit check to arrive. Cancellation Policy: Upon receipt of your deposit I will firmly commit to the dates you reserve. In all fairness, any charter that is canceled with less than 30 days notice will forfeit the deposit. If you are forced to cancel your charter, and provide me with more than 30 days notice I will gladly apply your deposit to any rescheduled charter. With respect to the weather – If the weather here in Venice is fish-able on the actual day of your charter then the charter is a go. If by chance the weather in Venice is not fish-able then the charter is scrubbed, and I will reschedule it or return your deposit.